With more than 15 years of experience as a professional writer, editor, media specialist, and communications director, I’ve written a lot of words — and learned what makes communication effective, elegant, and honest, whether it’s in the form of a feature article, press release, blog post, webinar script, conference program, book, or even a 140-character tweet. I’m mission-driven, and especially good at expressing complex ideas with clarity, connecting the dots between seemingly disparate elements or concepts, and identifying cultural trends. I began writing professionally in the 1990s as a part of the growing natural and organic foods movement, after serving as public relations director for Alfalfa’s Market and as a production assistant and scriptwriter for eTown, a syndicated radio show combining music and environmental education. In addition to articles for trade and consumer publications including Yoga Journal, Ms., Natural Foods Merchandiser, Surface Design Journal, EcoSalon.com, and others, I’ve written for some of the natural and organic industry’s most dynamic and influential companies and organizations. 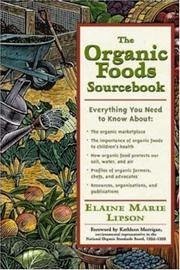 I authored The Organic Foods Sourcebook, a consumer guide to the meaning of the organic label and the benefits of organic foods and farming, published by McGraw-Hill’s Contemporary Books imprint in 2001. I was also a senior editor for the original LOHAS Journal, where we began to identify and explore the connections between the many facets of Lifestyles of Health and Sustainability. In 2005, I became the organic program director for New Hope Natural Media, producers of Natural Products Expo and the industry’s most well-known trade magazines. In that role I helped to conceive, develop programming for, and launch the Organic Summit, a leadership conference for the industry. With responsibility for building strong partnerships and content resources in the organic community, I also participated as an attendee or speaker at events in England, Brazil, Germany, Hong Kong, and throughout the United States. In 2009, I became an editor for books at Interweave, shifting my focus to contemporary textile art and crafts. In 2012 I returned to freelancing and consulting, working across many areas of interest and expertise. My degree is in painting, printmaking, and art history, with a minor in philosophy, from Colorado College. I’m still a practicing artist and am a lifelong student of textiles and craft, especially my original Slow Cloth approach to textiles, something I began to develop in 2007 (I maintain a Slow Cloth community page on Facebook). I’m a 20-year student of yoga and have had the good fortune to live in and to travel to some of the world’s great cities. Today my home base is in Colorado. In a world where content and communications are more challenging yet more important than ever, I believe in a foundation of good storytelling, truthful and accurate reporting and messaging, excellent language skills, and thorough research. If you believe that your story and your messages matter, I can help you clarify your target audience and craft anything from a business document to a book outline to a communications and media relations plan for the long term. Contact me and let’s talk. See some of my published clips here. See a list of previous and current clients here. See an overview of services here.